Meet the Fix-it and Enjoy-It Cookbook, an irresistible collection of more than 800 All-Purpose, Welcome-Home Recipes. 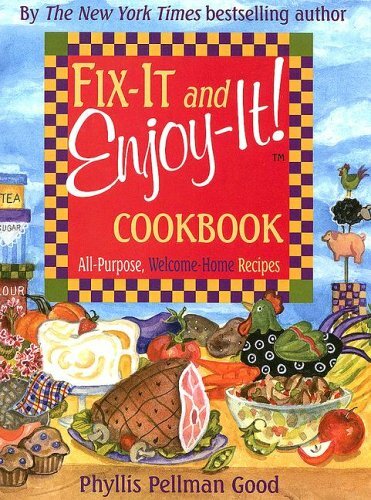 Fix-it and Enjoy-It Cookbook offers choice recipes for stove-top and oven cooking. nutritional food which your gamily and friends of all ages will heartily enjoy! This wonderful collection is packed with more than 800 recipes. Each includes the amount of Prep Time and Cooking Time needed. Each includes clear, step-by-step procedures for making the dish.